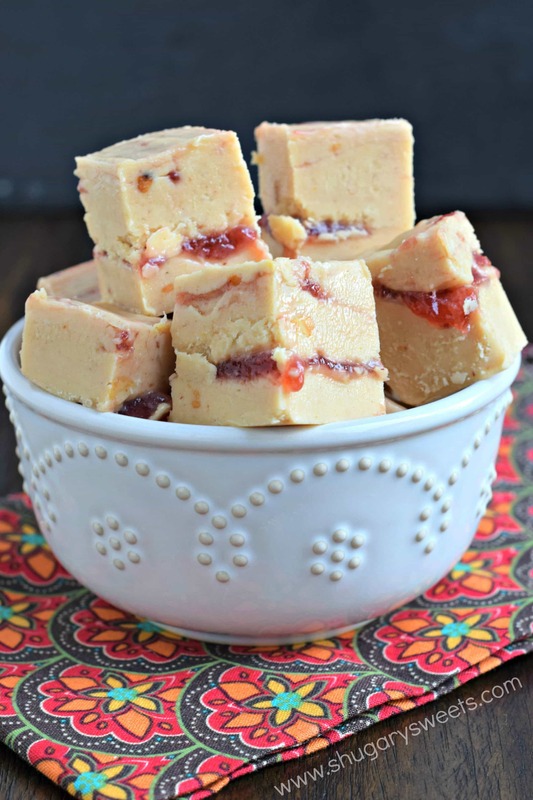 If you love peanut butter and jelly sandwiches, this Peanut Butter and Jelly Fudge is going to knock your socks off!! The flavor is simply irresistible! There’s a huge debate in my family. Or should I call it the great divide. And it all centers around how to properly make a peanut butter and jelly sandwich. Of course, then there is my husband who is thin peanut butter and NO jelly (but he doesn’t count in this because, duh, who doesn’t like jelly? I’m sure you can all guess where I stand? I’m option 3, thick and thick. The more the better. Oozing out of the sandwich is preferred, both the peanut butter and the jelly. And if you can make it crunchy peanut butter, I’m in heaven. 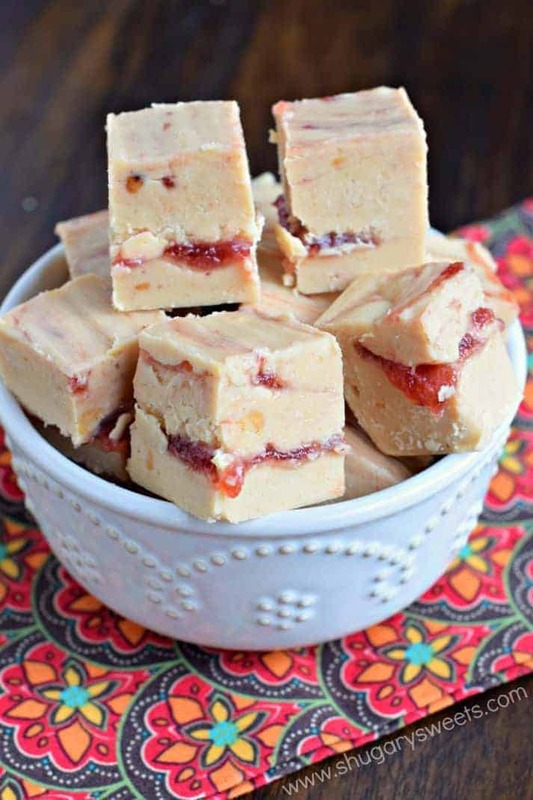 The post Peanut Butter and Jelly Fudge appeared first on Shugary Sweets.